To have a project or event included in the District eDigest please provide the District Secretary with full details and an external link or a flyer if possible to help with advertising. The Digest will be published each Sunday where possible. For those interested in making a mini holiday of conference and the Leeuwin, the Leeuwin Concert this year will feature Jackson Brown. 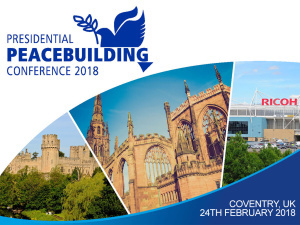 On behalf of the Disease Prevention and Treatment Presidential Peace building Conference organizers, I invite you to join us in Coventry, the City of Peace and Reconciliation, the weekend of 24 February. Join the Rotary family, young leaders, community members, civic dignitaries, scholars, medical professionals, and university and business experts in the field of research for disease prevention and treatment for this one-day program in the historic City of Peace and Reconciliation. Conference speakers include Lord Mayor of Coventry, Councilor Tony Skipper, Professor Joseph Valadez, Chair of International Public Health at the Liverpool School of Tropical Medicine, and Shirin Ebadi, Nobel Peace Laureate. For the full program and list of speakers, visit www.rotarygbi.org/peacebuilding-conference-2018. The Conference will also feature four breakout sessions highlighting various touch points between Disease Prevention and Treatment and Peace. One of the breakouts, led by Jean Best and Caroline Millman, will be dedicated to youth and includes Peace Advocates and Peace Jam. The day will conclude with a RI President’s Peace building Dinner. Participants will gain strategies for serving as peace building agents while addressing disease prevention and treatment challenges. Stratford on Avon before and after the Conference. We anticipate having some 800 Conference attendees, including 250 children from secondary schools sponsored by their local Rotary clubs. Current registrants include Rotarians from Canada, Ghana, Great Britain, Ireland, Nigeria, Pakistan, Poland, and the United States. For those staying overnight, we have arranged accommodations at the Double Tree by Hilton Hotel which is on site at the venue the Ricoh Arena. Visit www.rotary.org/presidential-conferences for a list of all Peace building Conferences being convened by RI President Ian Riseley. Together, we are setting in motion our global effort to help the world better understand who we are: people of action, driven by a desire to strengthen communities, mobilize problem solvers, and find solutions to the tough challenges that affect people around the world. Starting now, you can visit the Brand Center to download new People of Action templates for social media posts and print ads. You can also download the video public service announcements that debuted at the Atlanta convention, as well as guidelines and tips on using the campaign. Use all of these to tell your own stories about how your club and district are taking action and bringing leaders together to make an impact in your community. 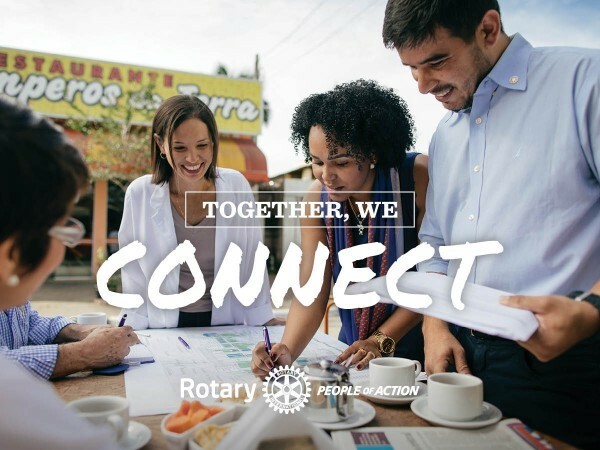 We are very proud of this new campaign and the opportunity it gives us to tell a consistent, compelling story about what makes Rotarians people of action. In the coming months, we’ll add more resources to the Brand Center. 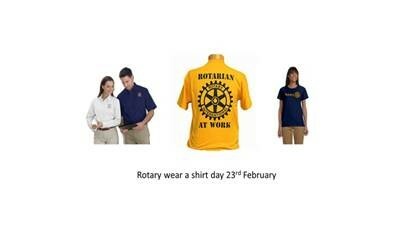 We hope that you take advantage of these materials, because they’ll help you to get the full benefit of the campaign by promoting both your club and Rotary in your community. Join us and bring the People of Action campaign to life by visiting the Brand Center today. The more we build awareness of Rotary, the easier it will be to make an impact in our communities right across the world.